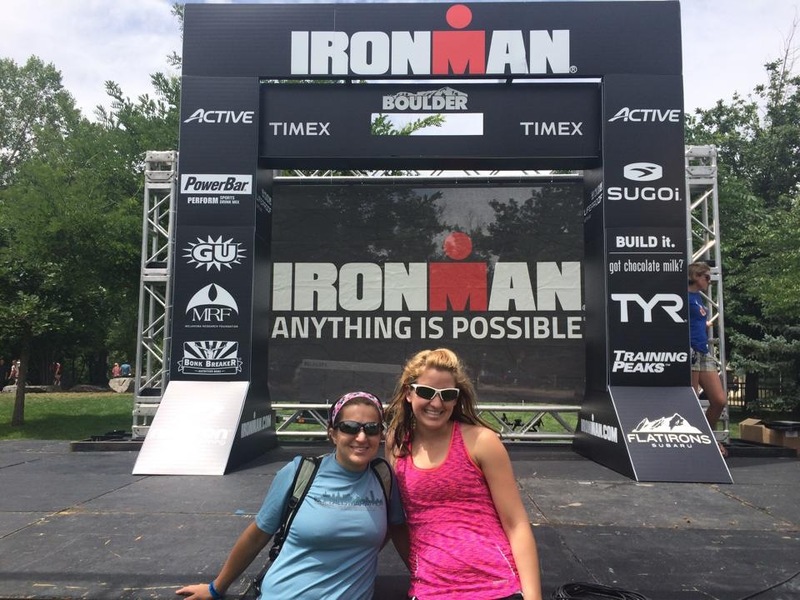 So I just realized that I never wrote a race report for the Boulder Peak tri. Whoops! Overall, it was a really good day. My swim was about two minutes slower than I would have liked, but I can’t complain, considering how little swimming I’ve done this season. The big success of the day was the bike. 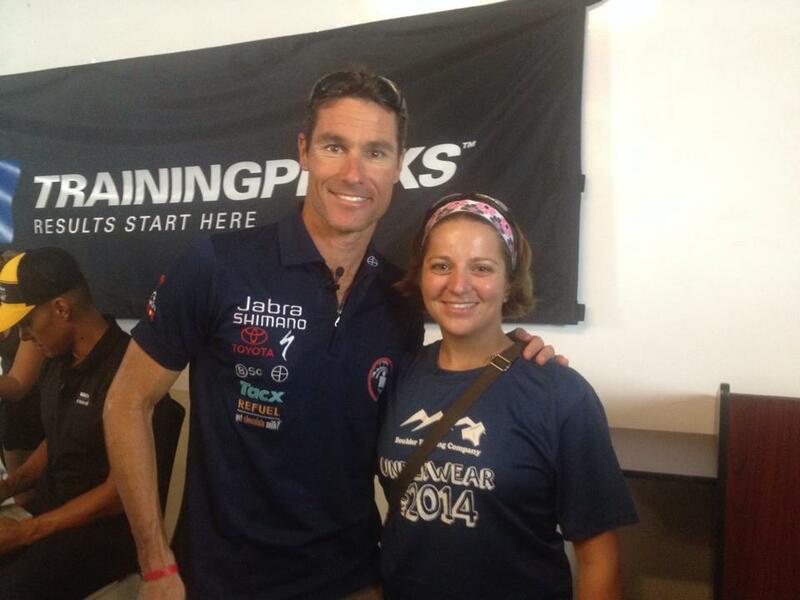 I realized before the race that I always ride at the same pace – Ironman pace – no matter what the distance is. I always average 15-16 mph. So before The Peak, I told myself that I had to actually ride it like the 26 mile bike that it was. I figured I could hold 17 mph without a problem, and could possibly push myself to 18 mph on a good day. Well, by the end of the bike, I was averaging 17.8 mph! I felt great, and passed quite a few people on the second half of the course. I got off the bike and my legs were still feeling good for the run. I didn’t push the pace here like I had originally wanted to, but I held up just fine. No foot pain, and a pretty consistent pace. I ran roughly 10:00/mi all the way through, but added on a few extra (15-30) seconds each mile while I stopped to ice up and drink up at each aid station. It was crazy hot out, so this was totally worth it. Overall, it was a great day. I was really happy with how it went, and I had a lot of fun. Final time: 3:16:40. 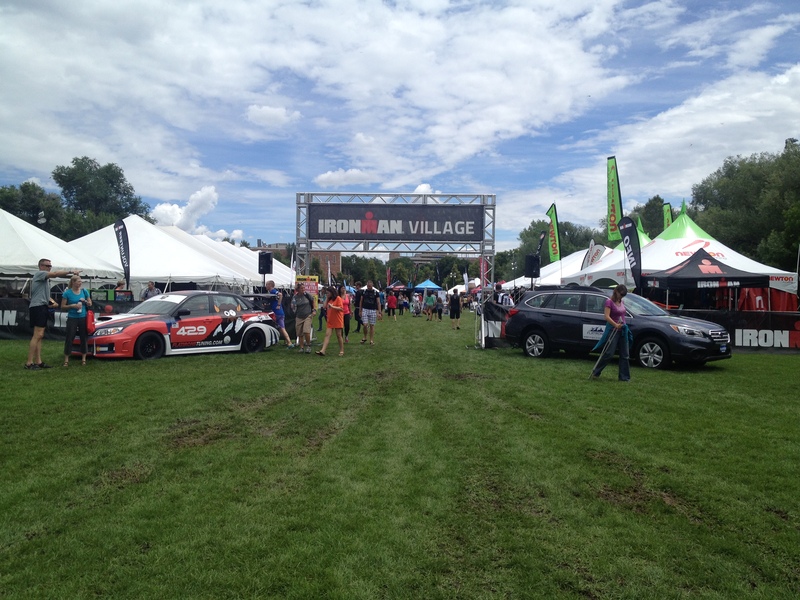 It’s time for Ironman Boulder! The big race weekend is here, and the festivities are in full swing. Thursday, I headed over to the high school to check in. Aside from the muddiness (we got a ton of rain on Wednesday and the field was a mess), check in was uneventful and very quick. We were led in the Underpants Run Oath by Michael Lovato, who was serving as the Underpants Captain. He was hilarious. After the oath, we headed out for our short, but incredibly entertaining run. We ran less than a mile to the pedestrian mall, where we did some lunges and whatnot, and then ran back to the store. There was also a beer aid station along the way. 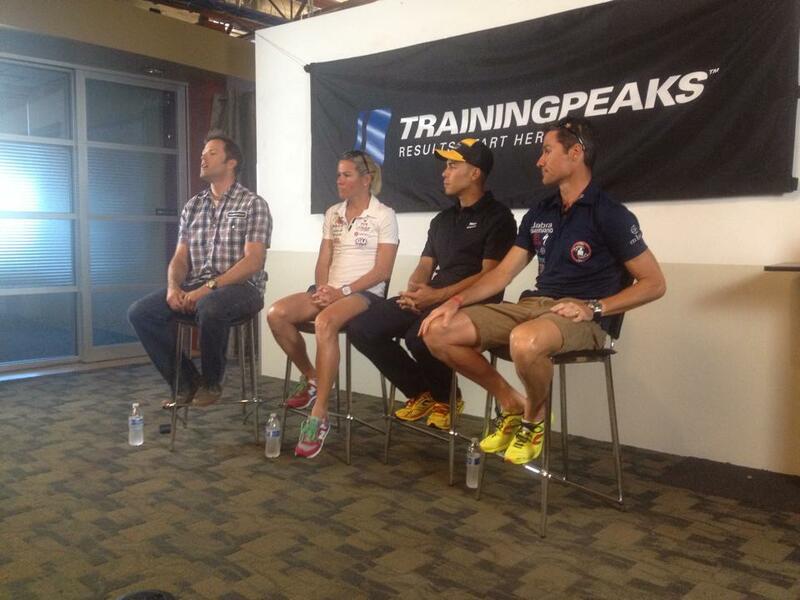 After we were done, I put my pants back on, and headed out to the Q&A session at the TrainingPeaks headquarters with Apollo Ohno, Rinny, and Crowie. Friday (today) was less eventful, but still a fun day. I headed back over to the high school to register for 2015 and meet up with some friends. 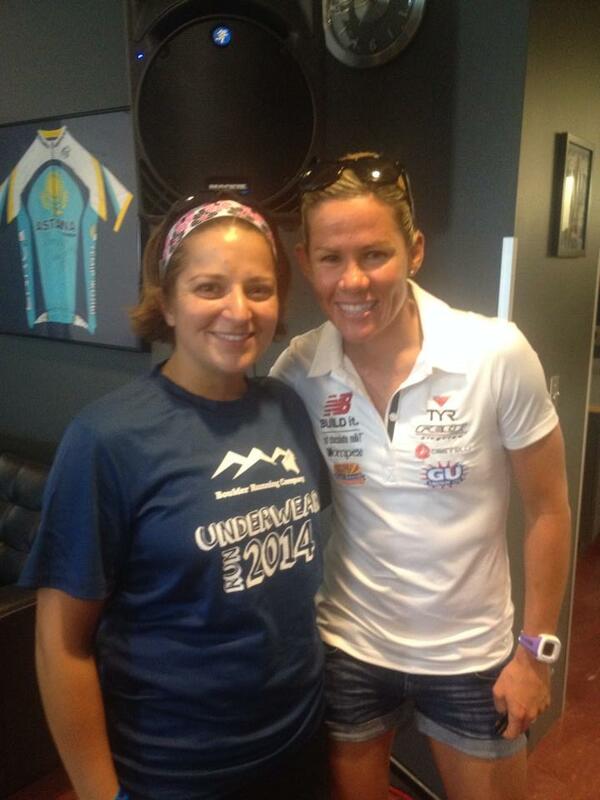 Me and my awesome friend Molly, who is doing her first Ironman this weekend. Go Molly! 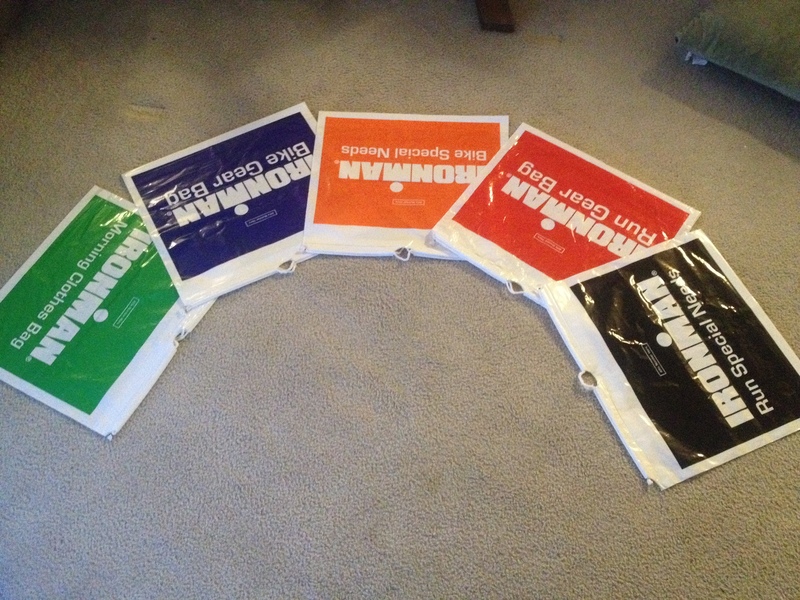 Then it was time for lunch, laziness, and prepping gear bags! Tomorrow (Saturday) is bike and gear bag check, and lots of being lazy. Then it’s early to bed. Race day will be here before I know it! Overall, I’m feeling good going into this race. 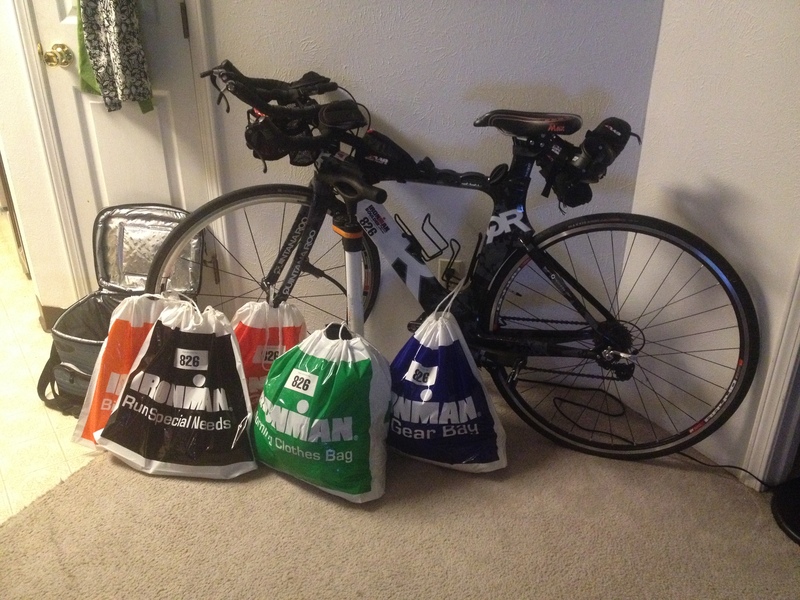 As usual, I didn’t train exactly as I had hoped, but I feel like my bike is solid, and the swim and the run are fine. The biggest question mark for me going into this race is my foot on the run. I haven’t run much at all since the Colfax Marathon in May. I’ve been trying to give my foot as much time to heal as possible. My longest run since that race has been 7 miles. My foot hasn’t bothered me for the last month or so, so I’m hoping all will be well come Sunday. But you never know. All I can do is keep moving. So we’ll see what happens there. I do have some time goals, but ultimately, I just want to have fun and enjoy the day. That’s the most important part.